Playback all your media, including Ultra HD Blu-ray, VR, 3D-360°, 4K, MKV, MP4, AVCHD. With better resolution, higher frame rates, and HDR support for more colors and contrast than ever before. 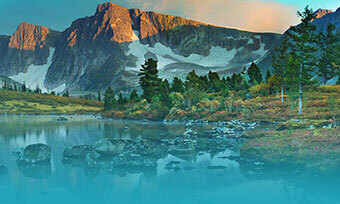 Brings every scene to life with brighter, more vivid colors and better contrast. 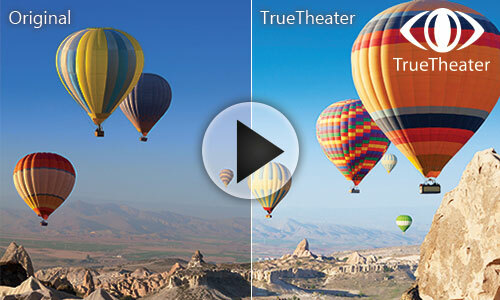 Enhance all your standard dynamic range (SDR) content to HDR quality with TrueTheater® HDR. 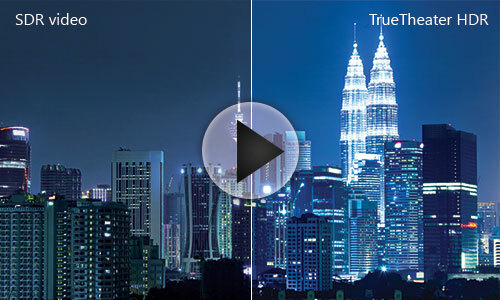 Refine video hues and vibrancy while retaining natural skin tone with TrueTheater Color. Improved sound quality featuring bass boosting and crisper dialog with TrueTheater Sound. 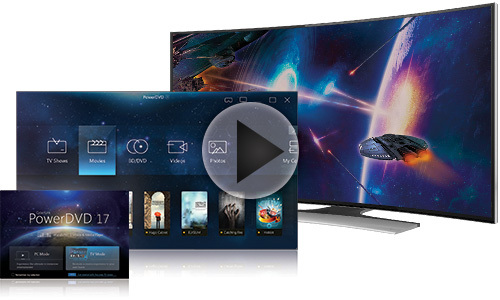 Brings you optimized big screen viewing with enhanced video and audio quality. 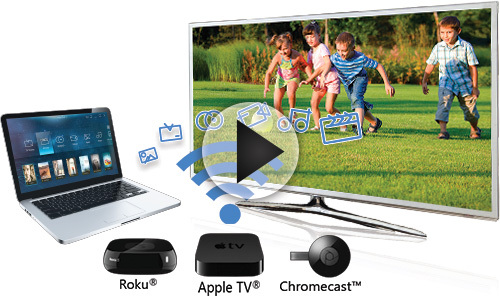 Cast all your videos, photos & music to Roku®, Apple TV® and ChromeCast™. 3D-360° video is a game changer! A mind-blowing experience that puts you right in the video! Pin your favorite videos offline with YouTube Pin feature, now support Full HD, 360° and 4K videos. 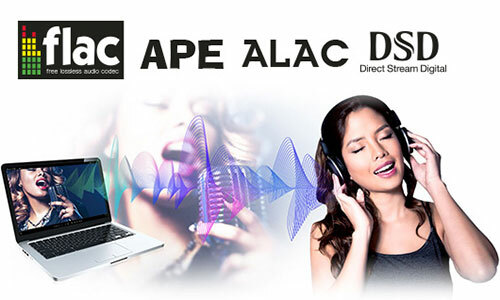 Enjoy improved stability of Dolby/DTS/ALAC and DSD audio with new audio rendering engine. Playback directly from Blu-ray and DVD ISO files without additional mounting software. Seamlessly playback high frame rate video from your iPhone or GoPro. With PowerDVD's Instant Play technology. Once again PowerDVD leads the way, bringing the latest in high-resolution video technology to ensure you can enjoy the ultimate in Ultra HD 4K and the next big leap in picture quality with HDR 10. Virtual Reality is another first from the pioneer of home entertainment - welcome to an immersive new world. 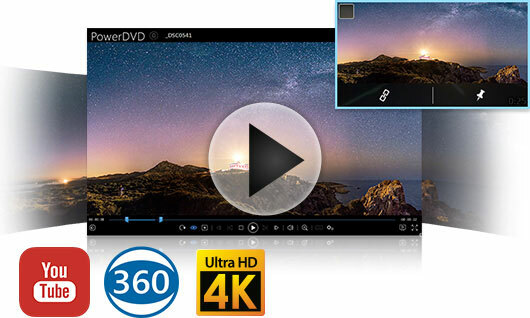 PowerDVD 17 is the world's first Ultra HD Blu-ray media player. Ultra HD Blu-ray is the latest generation of Blu-ray Discs and it's a luxury worth having! If you want the absolute best possible picture from your 4K TV, Ultra HD Blu-ray is where you'll find it - better resolution, higher frame rates, and high dynamic range (HDR) support for more colors and contrast than ever before. The result? The most realistic viewing experience available. 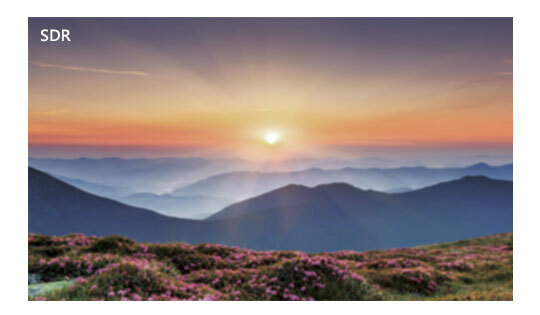 High Dynamic Range (HDR) technology takes contrast to historically high levels, providing amazing detail in both dark and bright areas. Also, with less banding for color and contrast gradients, it controls every color perfectly for the smoothest and most natural results. Immerse yourself in VR with support for Oculus Rift and HTC Vive headsets. Explore new worlds in 360° video and photos. And new 3D-360° video support makes the whole experience feel even more real! 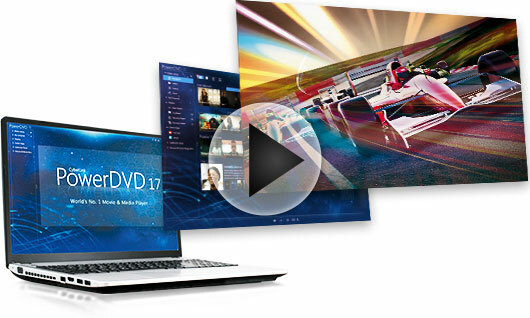 PowerDVD is the must-have player for the next-generation in multimedia entertainment. Mirror Mode - Share your VR journey on TVs and monitors! 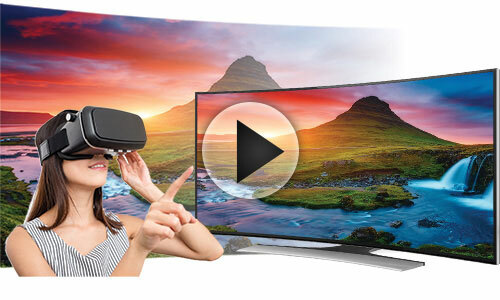 PowerDVD's unique Mirror Mode technology provides you an exciting way to enjoy VR by showcasing your amazing experience to others. 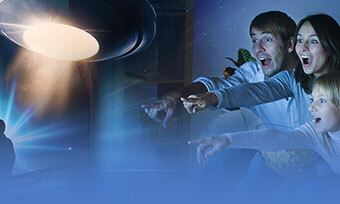 CyberLink's unique TrueTheater enhancements improve the quality of even Blu-ray and hi-def video, and the difference it makes to watching movies on your big screen TV has to be seen to be believed. Immerse yourself in the richest colors, sharpest images, most detailed picture quality imaginable and be blown away by dynamic, deep surround sound that will put you right in the middle of the action. PowerDVD's unique TrueTheater HDR technology can enhance all your standard dynamic range (SDR) content to HDR quality, letting you realize the full potential of your HDR TVs and monitors across all the content you watch. 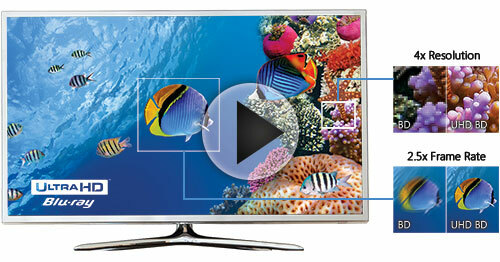 PowerDVD's TV mode brings a new big screen experience that offers better picture and sound quality. Control your entertainment using your mobile phone with PowerDVD Remote, which has been revamped to provide intuitive swipe control for no-look navigation. Cast content that isn't supported by your Roku®, Apple TV® and Chromecast™ device. Apply PowerDVD's award-winning TrueTheater technologies to anything you stream for greatly improved quality. PowerDVD is back and it's better than ever! Faster, more powerful and easier to use, PowerDVD continues to evolve to bring you the best possible entertainment experience. 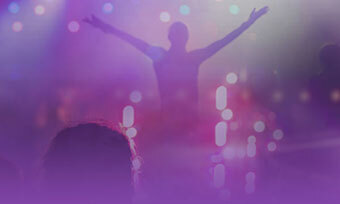 With an improved audio rendering engine, PowerDVD provides even more remarkable master-quality sound. Enjoy Dolby, DTS, FLAC, ALAC and other high-quality lossless audio designed to provide a premuim listening experience. PowerDVD's Instant Play technology means faster start-up, quicker loading times for movies and a smaller system footprint in order to keep your PC humming! Stream YouTube 1080p FullHD, 360° and 4K videos, or even pin (download) them to watch offline later. Perfect for when you are going to be on the road for extended periods of time without Internet. Import all your playlists from Windows Media Player directly to PowerDVD with just one click. Find your photos easily with animated thumbnail previews on photo folders. 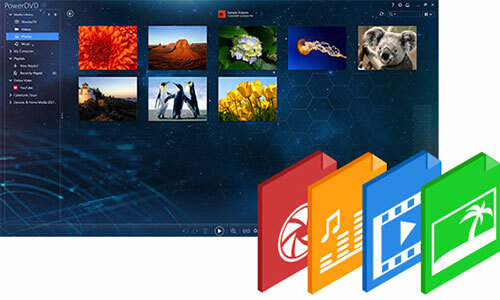 And enjoy different videos and photos at the same time with convenient Multiple Window support. NOTE: Apple TV® is a trademark of Apple Inc., registered in the U.S. and other countries. Chromecast™ is a trademark of Google Inc. Roku® is a registered trademark of Roku, Inc.